(NaturalNews) The Oregon-based Soylent company, which proudly manufactures a full line of genetically-modified beverages, powders and "food" bars, has recalled every single one of its "Soylent Bar" meal replacement products, following a stream of complaints from consumers who say they experienced horrific stomach problems accompanied by persistent vomiting and explosive diarrhea after eating them. Soylent was initially reluctant to recall the bars, insisting that they were just fine and insinuating that the adverse effects their customers were experiencing must have been caused by something else. But when the story made national headlines, with more and more customers calling the company and posting comments online about their painful experiences, the company realized that it had no choice but to take action. According to reports, the three words that keep coming up to describe Soylent Bars are "nausea," "vomiting" and "diarrhea." In at least one instance, as reported to the online user community Reddit, an individual who consumed a Soylent Bar reported having to be rushed to the emergency room for acute food poisoning. Another Reddit user told of how eating a Soylent bar resulted in "the worst vomiting episode I ever experienced." 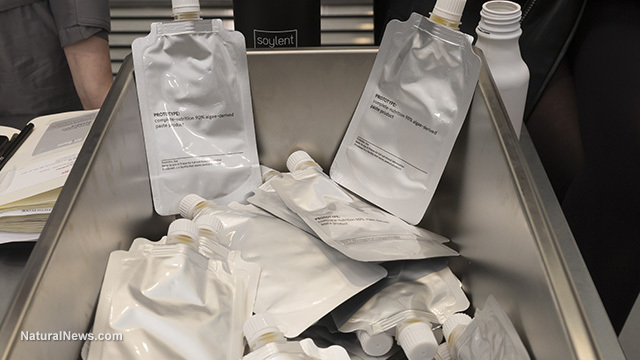 These, along with dozens upon dozens of similar complaints, led Soylent to issue a statement on October 10 indicating that every customer who purchased a Soylent Bar is entitled to a full refund. Those still in possession of Soylent Bars are being encouraged to toss them immediately. "It has recently come to our attention that a small number of our customers have experienced gastrointestinal issues after consuming Soylent Bars," reads an official statement from the company. "As a precautionary measure, we are halting all Soylent Bar purchases and shipments and are advising our customers to discard any remaining bars in their possession." What's particularly interesting about the Soylent company is that it's one of the only companies that actually brags about the use of GMOs in its products. The company, which manufactures its products at Betty Lou's in McMinnville, Oregon, boasts that every one of its offerings is "Proudly Made with GMOs," and offers a full spiel on its website about the supposed merits of GMOs that sounds like something written by a marketing executive at Monsanto. A quick glance at the Soylent ingredients list reveals that every Soylent product is just a mash-up of GMO soy protein, artificial algal oil, sugar from genetically-engineered beets, and "vitamins and minerals" that we can only assume are likewise synthetic in both structure and effect – though Soylent insists that its products are real food, and that they help people achieve their nutritional needs efficiently and conveniently. GMO soy protein isolate is probably the worst type of protein that a person can consume, as it's both estrogenic and likely contaminated with glyphosate (Roundup). And GMO algal oil, as we've previously reported, simply doesn't agree with the body and isn't processed in the same way as real omega-3 oil. Soylent products are also loaded with sucralose, the generic name for the artificial sweetener Splenda. According to Buzz Feed, Soylent Bars in particular contain far more sucralose than any other Soylent product – three times the amount compared to the company's related drink product. Soylent isn't food, in other words, which is why it's hardly surprising that those consuming it are suffering serious health effects. If you or someone you know has suffered an adverse effect from consuming Soylent products, it is advised that you contact the U.S. Food and Drug Administration (FDA) and file a consumer complaint. You can do so here.